OndaVia Analysis System (rental) | OndaVia, Inc. The OndaVia Analysis System is a portable, easy-to-use system that relies upon Raman spectroscopy for laboratory-grade, field-ready chemical analysis. Weighing approximately five pounds and measuring smaller than a shoebox, the portable system can be powered from a car/truck battery for remote operation. Our rental system includes the components needed for instrument use, including a liquid dispensing pipette with pipette tips, cables and power supplies, and a laptop pre-configured to control the instrument with all necessary calibration files for our MiniORC software. The system is shipped in a hard-sided, wheeled case for remote operation. 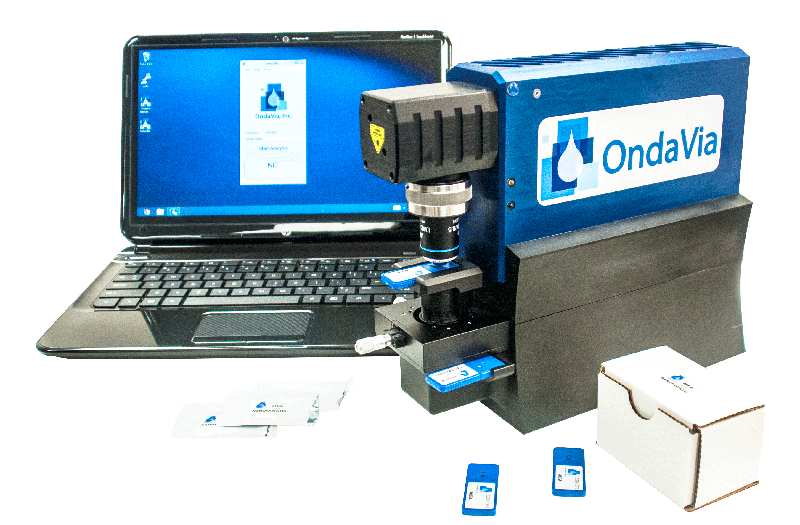 Coupled with analysis cartridges (sold separately), the OndaVia Analysis System provides laboratory-grade results in an easy-to-use package.